For many men and women, trips to the barbershop and/or hair salon is as mandatory as changing your clothes according to the present weather. After all, you simply cannot allow your hair to grow any which way for any prolonged period of time for reasons of good hygiene, good grooming habits and good impressions. However, professional hair treatments can definitely make inroads into your pockets and in these recessionary times, you don’t want that. Fortunately, you can use home hairdressing courses. Check out out feature article on Easi-Style. Quite simply, these are instructional videos and guide books on ways to cut, style and dress hair. You will learn many things about hair – types, colors and lengths, to name a few – but more importantly, practical lessons and tips on the best ways to provide hair treatments in non-professional settings. In many ways, you will learn what professional haircutters, hairdressers and hairstylists learn from their months and years of training in specialized schools. And herein lies the beauty of these home courses on hairdressing. Because of your basic knowledge about hair, you can now confidently experiment with the hairstyles you see on television and movies, all without spending hundreds of pounds on professional treatments. Home hairdressing courses will provide you with the necessary skills to wield those cutting and thinning scissors, apply those hair dyes and style your hair depending on the image you want to convey and the occasion you are attending in. In a way, you will be confident of how your hair turns out simply because you trust yourself with your hair more than you trust a stranger in a salon! If you can cut your own hair, style and dress, then you definitely can do the same on family and friends. Just make sure that you have willing guinea pigs, er, clients on your first few tries to avoid hard feelings. Keep in mind that the hair being our crowning glory and all, you must exert careful wielding of the scissors. Choice of scissors is an important matter. You cannot use just any old scissors that you find in your kitchen. Invest in good quality haircutting scissors and the results will be many times better. Expect to pay up to £100 for decent scissors. Our directory of hairdressing suppliers is a great place to look for mail-order scissors and equipment. 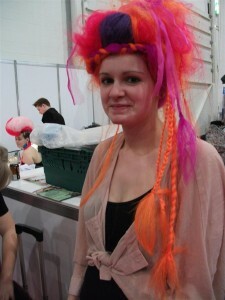 Hairdressing courses also provide for hair styles that you can actually do in your home. Thus, you will not be left to guess which one you can do nicely as it is all laid out for you. The important thing is that you know which recommended hairstyle is best for the shape of your face, which hair color looks good on your skin, and which hair accessory will highlight your crowning, shining glory. You will learn all this information from your home study course on hairdressing, of course, if and when you chose wisely. To choose wisely, you must do your research thoroughly and carefully. Keep in mind that this is your education you are spending on so you might as well make sure that you are getting the best bang for your buck, so to speak. You should read reviews, join forums and ask around for the best hairdressing courses available, which should point you in the right direction. Indeed, you can save tons of money when you stop going to hair salons for your regular trimmings, styling, and dyeing jobs. Plus, you will also save on time and effort spent waiting for the hairdresser to attend to your needs since you are your own hairdresser – all these benefits thanks to the right hairdressing courses.